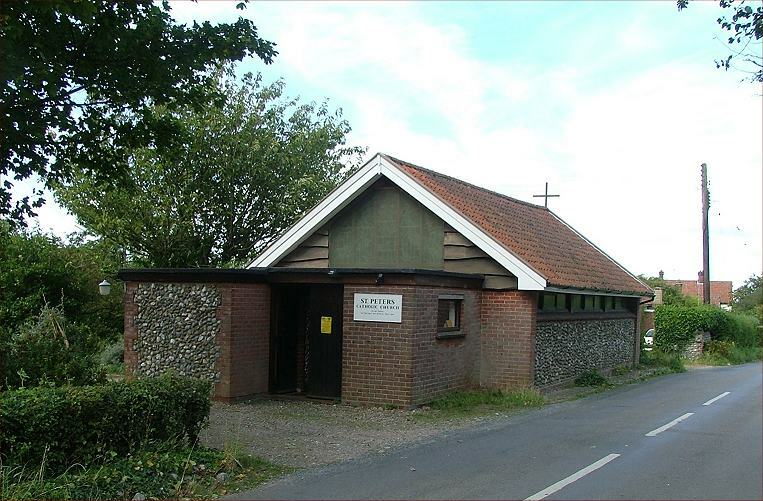 Tom observed, not unkindly, that this church might easily be mistaken for a public lavatory; Blakeney is, after all, a tourist village, and those high, narrow windows on the road side are a bit unfortunate. 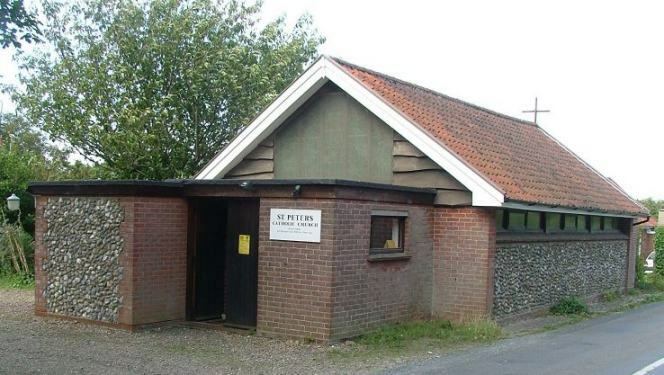 A pity really, for they distract from what is otherwise an effective, articulate little building. 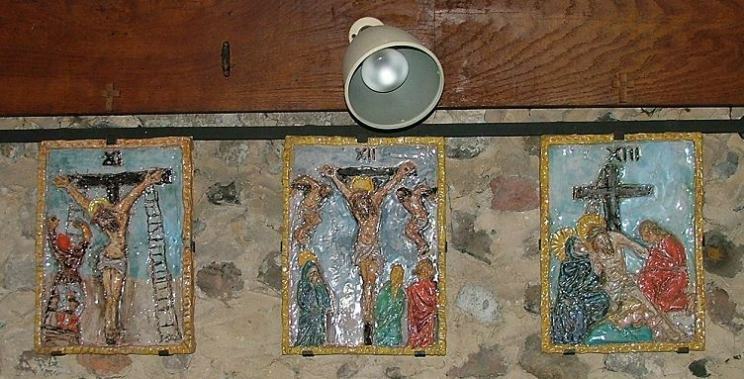 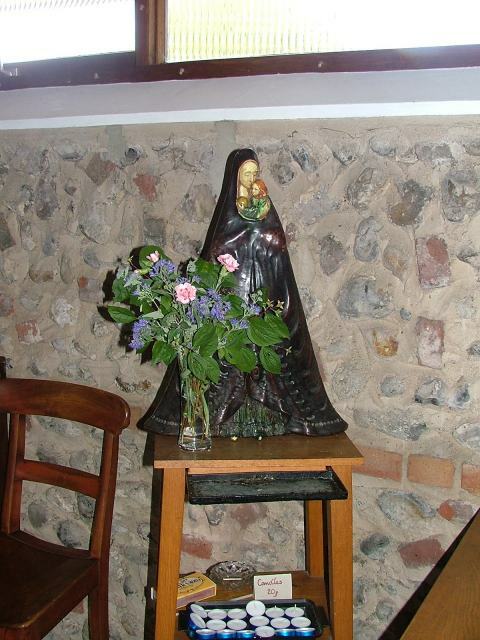 The use of flint in the outside walls is a stab at more than the utilitarian; and like so many small Catholic churches, it is thriving, much too small for its congregation. 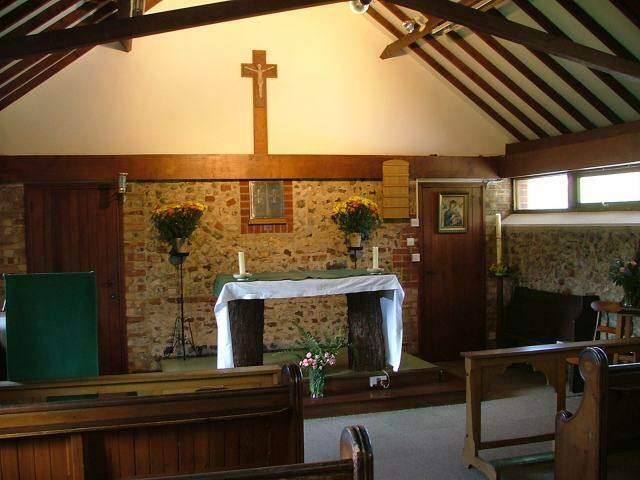 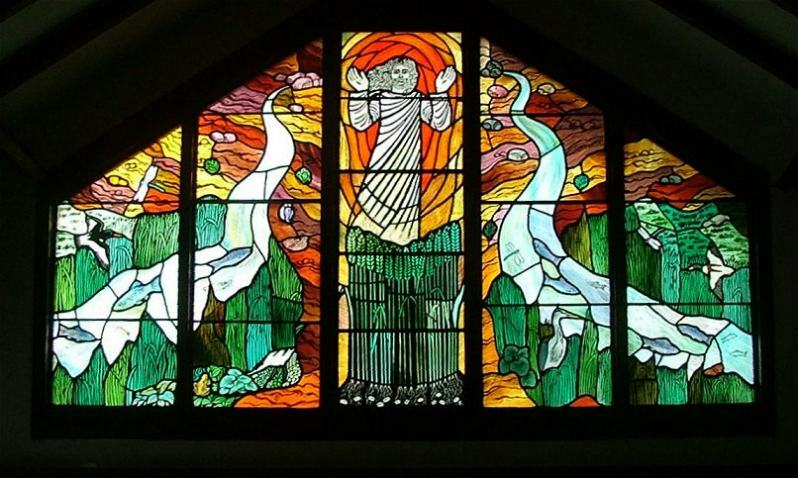 The interior is a devotional delight; the use of flint and rubble for the internal walls is very vernacular, and the west window is tremendous, a 1980s design by a parishioner depicting Christ's Ascension to heaven from north Norfolk, folk art at its best and very much in the tradition of such things. 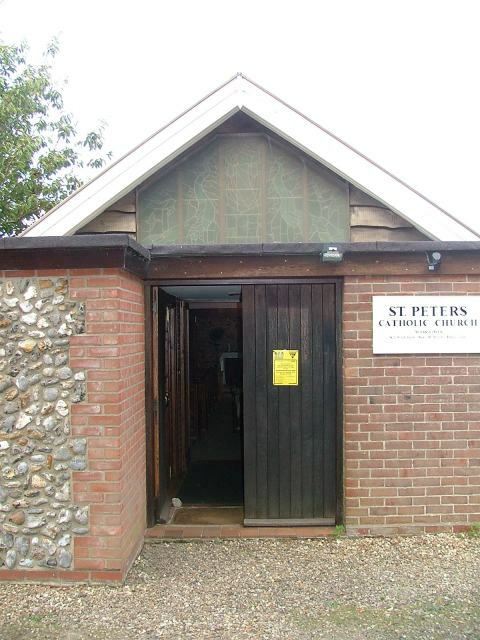 St Peter is very close to the medieval church of St Nicholas, which was of course in the care of the Catholic Church until the Anglicans took it over in the 16th century, and as such must be a constant reminder to parishioners as they leave Mass of the the glory that was once theirs.